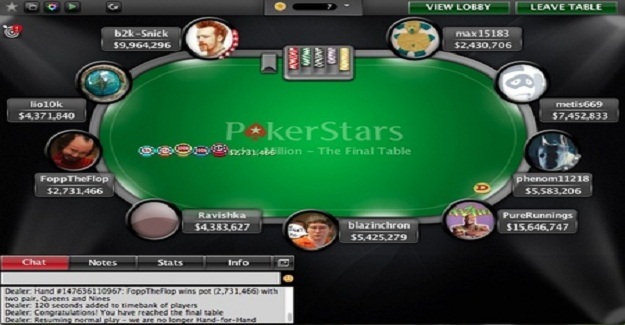 Brazilian online poker pro João “XxJoaoFeraxX” Otávio, won this week’s Sunday Million at pokrstars. The players got $213,724, as first prize along with the title trophy. extragloves of Canada was the second position holder and took home $157,255. The $215 No Limit Hold’em played on 27/03/2016, Sunday Million attracted a hugh number of players from all over the world i.e. 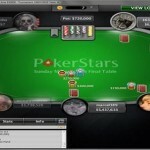 7,124 and generated a cash prize pool of amount $1,424,800, which was divided among top 1,080 places. Sunday Million is one of the top poker tournaments at the internet since last 10 years and it celebrated its 10th anniversary only last week, which was a hugh success as well. Whereas seat#5,#6,#7 and #8 were for players such as gimpshow of Canada (19,313,258), omeriko of Isreal (2,574,346), Calaviero of Netherlands( 1,057,120 )and UK’s OffTh3Radar(5,283,225). Meanwhile it was another Brazilian João “XxJoaoFeraxX” Otávio, who booked at seat#9 with total 17,425,625, but ultimately won the title. The first one to go was Calaviero ($11,042). 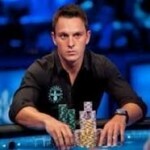 He got eliminated to just third hand of the final table and secured ninth position for himself. Omeriko comes next in the list, who completed his journey at eighth place for $17,097. Then after him a couple of more hands took place between players and navebit83 got seventh position for $30,633. Sixth, fifth and fourth eliminations were of players named rodloiola (6th, $44,168), Matt “OffTh3Radar” Davenport of United Kingdom (5th, $58,416) and Russian LStrelec (4th, $75,514). Whereas top three places of this Sunday Million event belongs to João “XxJoaoFeraxX” Otávio, the first prize and title winner for $213, 724, extraglovesof Canada was runner up for $157,255 and another Canadian gimpshow comes at third place for $113,984.